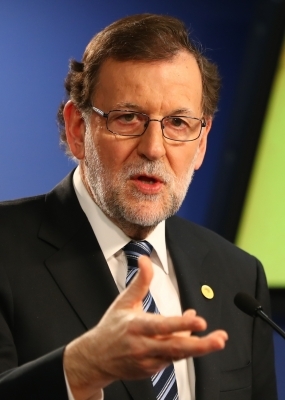 Madrid, July 21 (IANS) Spain’s Prime Minister Mariano Rajoy congratulated the country’s tennis player Garbiñe Muguruza in an official reception on Friday for winning the Wimbledon Grand Slam title. Muguruza was received at the Palace of Moncloa by Rajoy, who talked with the Caracas-born tennis player about the details of her win over American Venus Williams in the Wimbledon final, reports Efe. On July 15, Muguruza became the second female Spanish player to claim victory at the All England club after Conchita Martinez, who beat American Martina Navratilova in the final 23 years ago. That was the second Grand Slam title for 23-year-old Muguruza, one year after her first crown at the French Open.